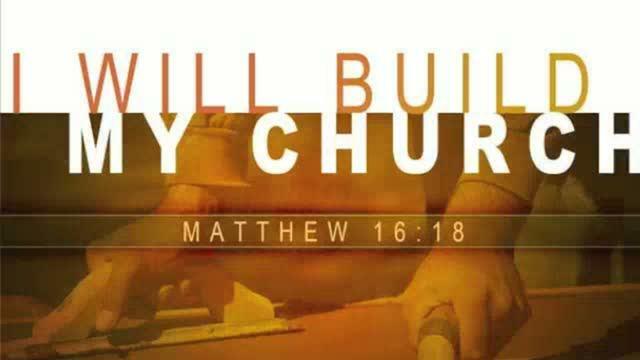 I will build you and make you and cause you to succeed in proportion to your pursuit of Me, says the LORD. For as you press into My presence and pursue My higher thoughts and ways, you will have an increase of wisdom and understanding. You will have clarity in the steps that I order for you. You will receive revelation that will be useful to you as your mind will become aware of new things that will benefit you. As you search for Me and the deeper things of MY Spirit, I will give you the things that you ask for, the things that you didn’t ask for and bring an increase of those things that you didn’t even think possible. For when you find Me, you find My wisdom. You find My knowledge. You find wonderful counsel. You receive My power. I will empower you and give you success as you make Me your priority and give Me the honor and glory and follow My higher ways and think on My thoughts that I give you. They will be as seeds that grow in a fertile field and the waters of My Spirit will make them grow and prosper, says the LORD. Seek me early. Seek Me with all your heart. Make me your ardent desire, says the LORD. All else will come into place as you find the secret place and press into My presence and glory, where I will press into you the things you need and be more than enough for you. Time is everything, and your times are in MY hands that created you, and I want you to walk by faith in Me and trust in Me at all times for EVERYTHING! For I Am your everything and ALL, and I who created the earth, I who created you, I who created every person, place and thing, I who created the silver and gold own what I have formed for My purposes and glory and I will not forget you as you make Me The LORD of all your life at all times. For what I OWN, I work with and through. Give ME EVERYTHING and let Me put My name on it and My seal upon it and let Me make it and form it and use it for My glory and you will see that I AM more than enough for you, says the LORD. Thank you lord for your blessing. Praise your holy name. Amen. Amen. “Seek ye first the kingdom of God and His righteouness, and all things shall be added unto you.”. Matt 6:33. Delight yourself in the Lord and He shall give you the desires of your heart.” Psalm 37:4. “Trust in the Lord with all your heart and lean on not your understanding. In all your ways submit to him, and he will will will will make your path straight.” Proverbs 3:5-7. Thank You, Lord Jesus, for offering this & for caring for me !!! Thank you Lord merciful God, I believe and receive it all in Jesus mighty name, Amen. Yes My Lord! You are My everything! Amen! AAAAAAAMMMEENNNN and AAAAAAAMMMEENNNN THANK YOU HOLY SPIRIT WOW WOOOOOOO HOOOOOOO PRAISE GOD PRAISE GOD AS I BELIEVE RECEIVE AND CLAIM THIS IN THE MIGHTY NAME OF JESUS AND ALL GLORY TO GOD ALONE AAAAAAAMMMEENNNN AND AAAAAAAMMMEENNNN!!!!!!!!!! !